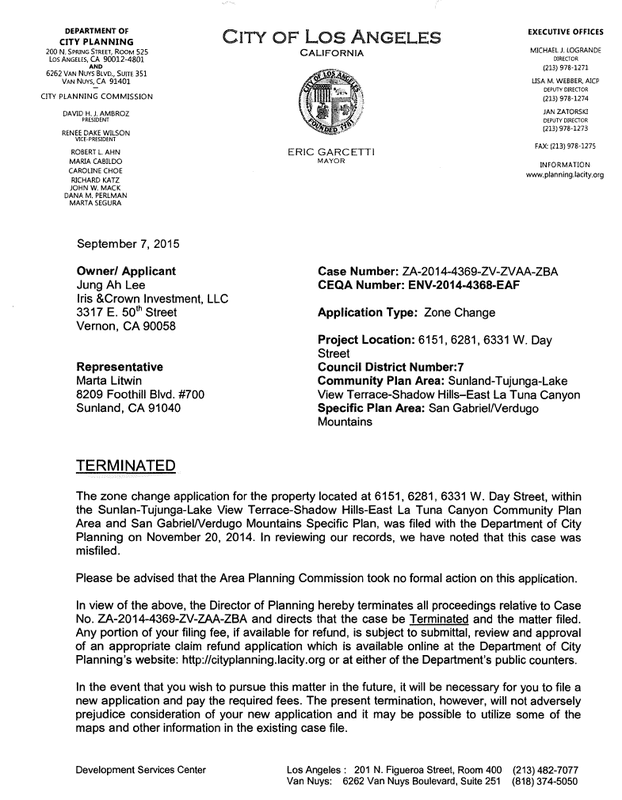 10-7-15 - The City Planning Department has Terminated the Zoning Application for this project because it was misfiled. See letter. 12-12-14 Application received by the STNC for development of 14 lots at this site. 12-30-14 Copies of plans for the proposal are on the STNC website under Documents.